It takes a lot of hard work and determination to become a nationally known burger joint, but that’s exactly what In-N-Out has become. Every employee is treated fairly and is compensated well for their work, and that family-like atmosphere has allowed the company to grow into a national powerhouse in the burger world. Lynsi Snyder is the President of In-N-OUt, and at just 35-years-old, has the company headed to even greater heights while maintaining her grandparents’ original vision for the restaurant. If you’ve never had an In-N-Out burger before, go get one after reading some of the most interesting secrets behind the burger franchise. 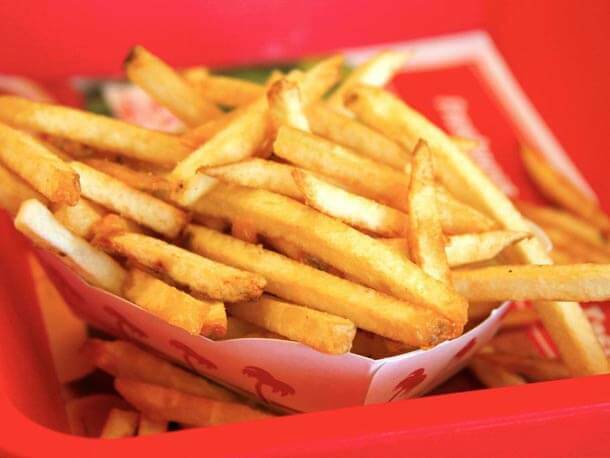 According to employees, there are actually seven different ways to order your fries. Wow! For such a small menu that is certainly amazing. You can order fries well-done which are extra crispy fries. You can order fries light well which are a slightly more done than regular fries, but not all the way crispy like the well-done. You can order fries lite, which have not been cooked as long as the others. You can order fries no-salt which are exactly what they sound like. You can order cheese fries which have two slices of melted cheese on top of them.